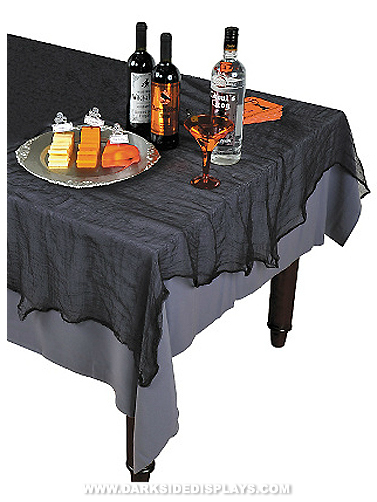 Use this creepy black gauze table cover for a haunted house look and feel. Can be used over a solid colored tablecover as shown or used alone. Black Gauze Tablecloth measures 60"W x 84"L.